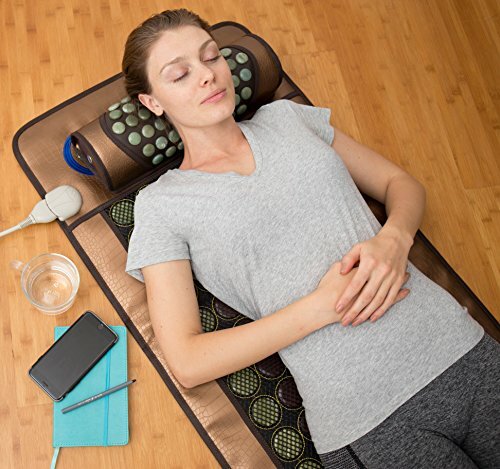 HealthyLine produces safe and effective heating pads and mats using century-old healing wisdom. 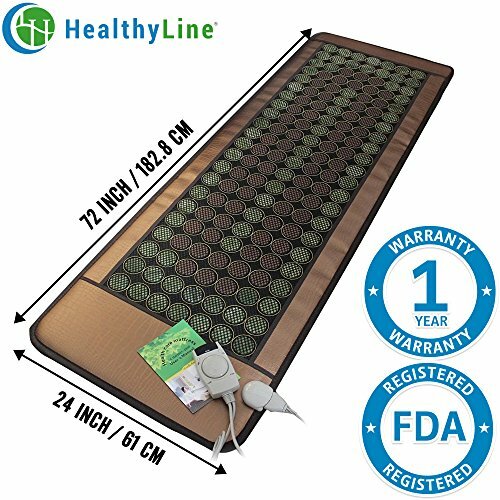 Far Infrared Rays (FIR), and Negative Ions from Jade & Tourmaline Stones have been known to: • Relieve pain in the muscles, joints, nerves and bones • Reduce tension, stress, anxiety, and depression • Help stimulate fat loss and reduce the build-up of free radicals in the body • Help remove toxins, cleanse the liver and kidneys, and eliminate built-up waste throughout the digestive system • Improve immune system function, enhancing the body’s natural ability to prevent or reverse sickness and disease • Improve youthful vigor, energy and stamina Using the finest Jade & Tourmaline stones this mat produces the highest level output of negative ion molecules; more than 700 in Jade and over 1500 in Tourmaline. Negative ions are found in most natural outdoor settings, such as waterfalls, oceans, beaches, lakes and mountain areas, which is why we feel so invigorated when we visit these areas. 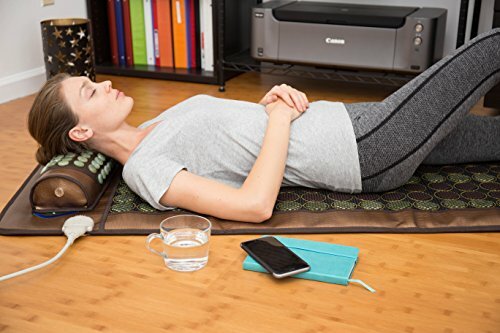 HealthyLine healing pads are the most convenient way to boost exposure to negative ions. Jade stone comes with its own unique detoxifying qualities as it naturally releases Far Infrared Rays, which possess powerful healing properties as they penetrate deep within the body. Our quality is unmatched. 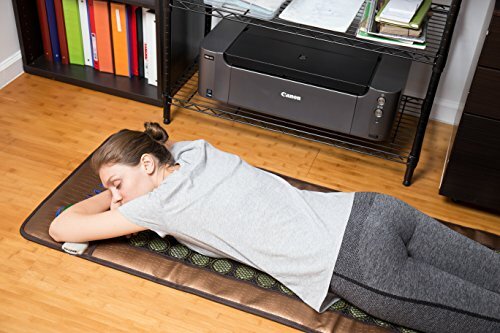 This mat is 17 lbs and has a standard 110 V plug. Each mat is composed of 14 to 20 layers of material that have their own unique function. Adjustable temperature settings with LED display. 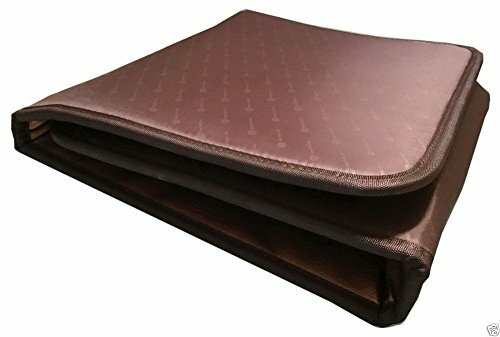 Folds up and fits into a custom designed carry case for easy travel or storage. 100% guaranteed! Each comes with a full 1-year warranty, which covers any defect in material or workmanship, with free instant replacement. In addition, we even offer a lifetime trade-in allowance. Invest in your health today. Order now!